As an active community participant, the Minnesota Timberwolves and Lynx organization is dedicated to assisting community organizations that focus on non-profit 501(c)(3) groups and education programs in Minnesota, Wisconsin, Iowa, North Dakota and South Dakota. We are proud to support the efforts of non-profit organizations that make our communities a better place to work, live and play. We are asked to support thousands of worthwhile charitable causes each year. While we try to accommodate as many requests as possible, due to the high volume we receive, we simply cannot fulfill every request. In order for your organization to be considered for a donation item from the Minnesota Timberwolves and Lynx, you must follow the guidelines below. There are no exceptions to the guidelines and all decisions made are final. Requests must be submitted at least 45 days prior to your event date. We are unable to give to third party fundraisers or employee incentive programs (i.e. United Way, Relay for Life, Breast Cancer-3 Days, etc.) as we support these organizations directly. Requests for senior class parties, post-prom parties and other similar events are not granted. We do not accept personal items to be autographed by the players or coaching staff. Your organization is only eligible to receive one donation per calendar year. Please do not call on the status of your donation. – If your organization’s request is declined you will receive notification approximately 4 weeks prior to your event. – If your organization’s request is accepted you will receive notification approximately 4 weeks prior to your event. Donations will be sent approximately 4 weeks prior to your event. Submitting a request does not guarantee a donation. It is recommended that your event not be centered on the anticipation of receiving a donation item. 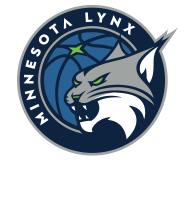 Rather, a Timberwolves or Lynx donation item should be a complimentary element to your event. Donation items will be either a Timberwolves or Lynx donation. You may request a specific team by making a note in your request form, however we cannot guarantee it will be fulfilled.